Jennifer Garner Pregnant And Alone Following Ben Affleck Divorce? Jennifer Garner is pregnant and alone, according to the latest cover issue of OK! Magazine. The report alleges that Ben Affleck is back in touch with nanny Christine Ouzounian in the wake of his divorce from Jennifer Garner, and that Jennifer is pregnant with twins. While the source also adds that Ben is ‘of course’ going to be helping Jennifer with the pregnancy and co-parenting with her – same as with all the other children – the fact that Ben and the nanny are in touch again hasn’t been helping matters. For those who don’t remember, Ben’s first affair with the nanny instigated the meltdown of his marriage and his public image, and while it took him months to get back in Jennifer’s good graces, it wasn’t enough to reconcile their marriage. But now, if he really is back in touch with the nanny (a big if), he’s set to mess up even the peaceful co-parenting and the ‘amicable’ nature of his relationship with Jennifer, possibly risking his future with Jen and his children. However, it’s difficult to believe that Ben Affleck would be this self-destructive, especially so soon after his last bout of self-destructiveness. His career is still recovering from the critical panning of his last few films, and he’s been working hard to re-cultivate his image of a good dad and Decent Human Being, especially after the nanny drama sent his public image into the gutter. After all that work, and when he’s finally on the upswing, he would be shooting himself in the foot if he started texting the nanny again, even if it’s a gut reaction to the divorce and his loneliness. And soon enough, Jennifer won’t even let him help her with her ‘pregnancy’, and before long, he’ll stop being able to see his children (and his alleged soon-to-be newborn twins) as much as he wants. What do you guys think? Is Ben Affleck texting the nanny Christine Ouzounian again, and is Jennifer Garner really pregnant with twins and ‘all alone’? Let us know your thoughts in the comments below and don’t forget to check CDL for more Jennifer Garner news and updates. 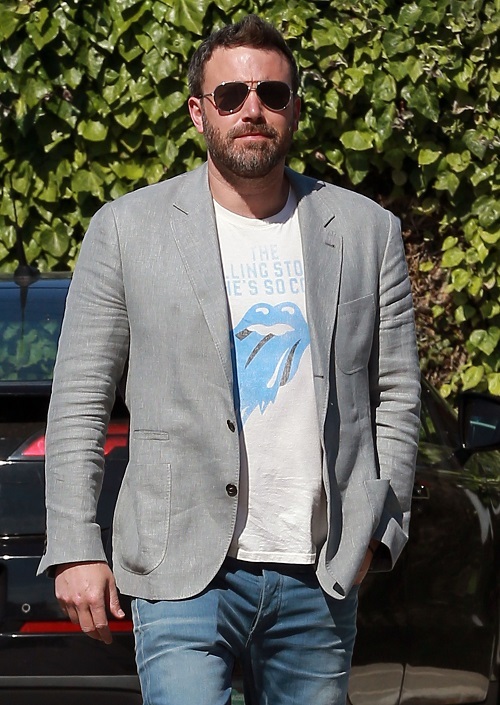 Ben Affleck Begging Jennifer Garner Not To Dump Him, Divorce Back On?